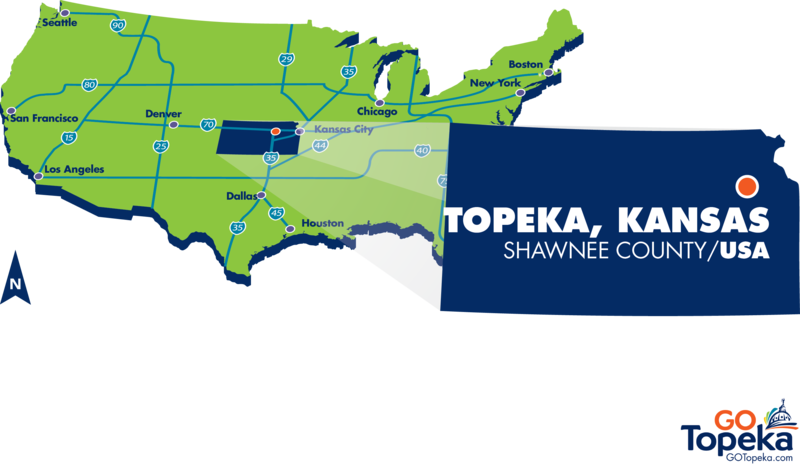 Topeka is a great city to live and have your business. Our cost of living and cost of doing business is below the National average. 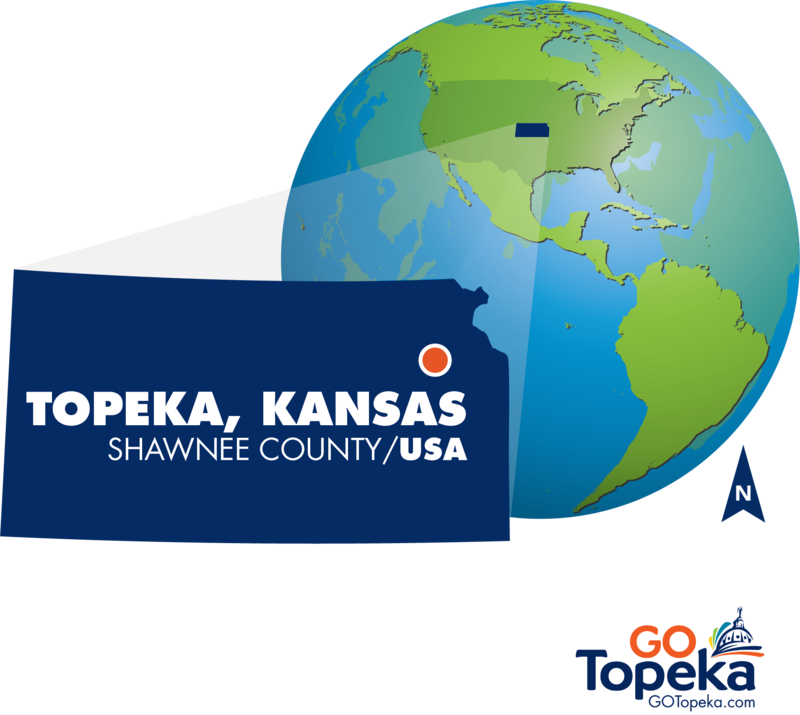 There is plenty to do for everyone in Topeka. We have a growing arts district, museums, and lots of green space for the kids to run and play. Annual Report 2017 data ranked Topeka at 95.7 with the average for 269 urban areas participating being 100. The study is based on more than 60 items, for which prices are collected quarterly by the Greater Topeka Partnership or similar organization in each participating urban area. The composite index is based on six components–housing, utilities, grocery items, transportation, health care, and miscellaneous goods and services. Small differences should not be interpreted as showing any measurable difference, according to ACCRA. 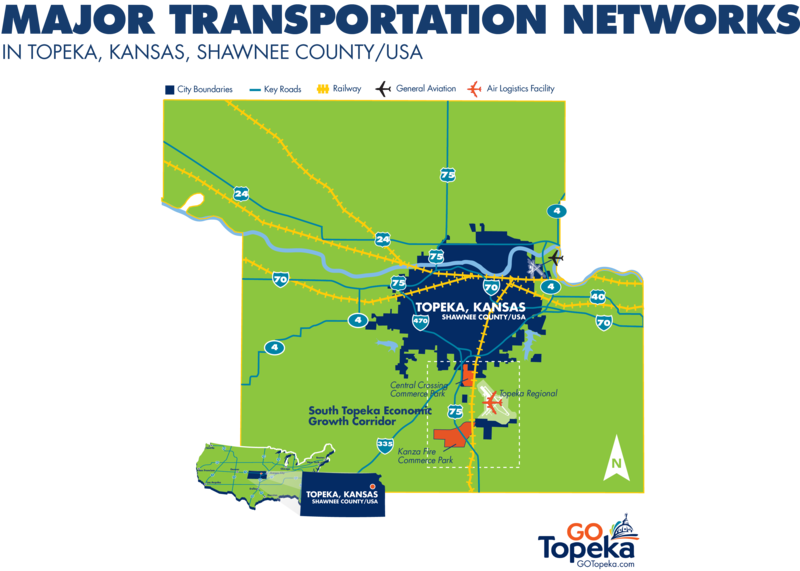 We are situated at the crossroads of several major highways and interstates, six of which converge in Topeka, providing easy access to on and off ramps and to all points in the city. 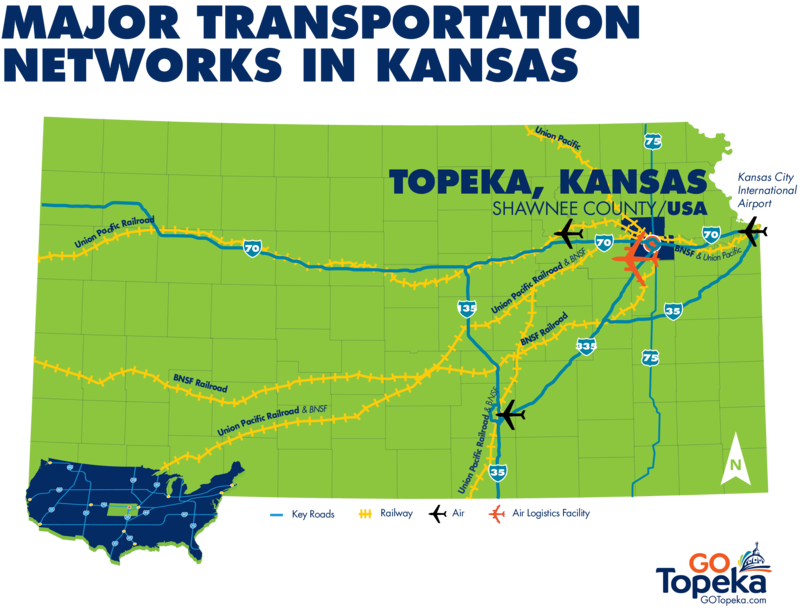 Also, I-70 is the only interstate highway traveling from Topeka west into Colorado. Due to a $2.6 billion comprehensive transportation program, Kansas roads are ranked 4th in the nation in quality. These interstate connections have drawn more than 20 inter-and intrastate carriers to the area. Rail service is provided by two carriers – Union Pacific, and BNSF Railway. A variety of specialized equipment and services is offered by all carriers. Piggyback service is available within a 60-mile radius. We are within a 50-minute drive to air service at the Kansas City International Airport. Airport and van shuttle is easily accessible. 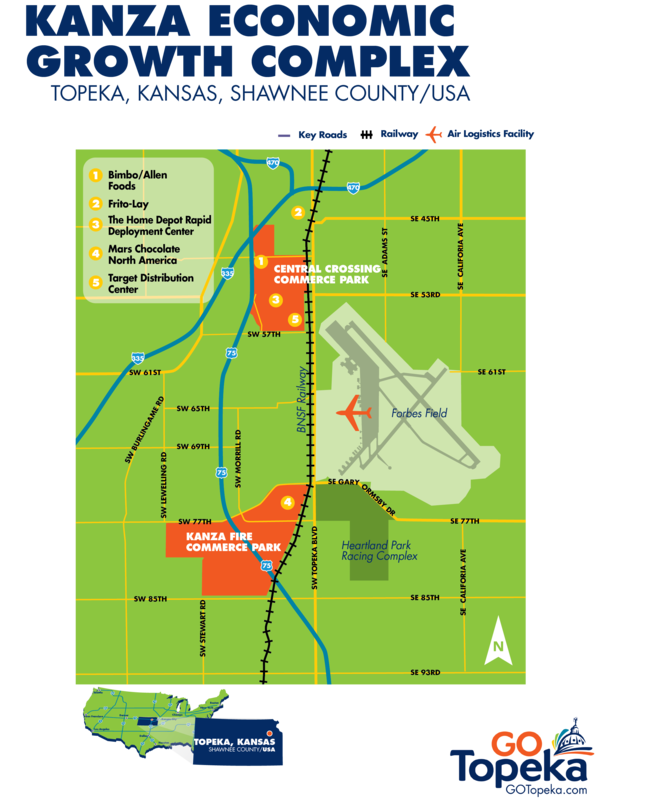 Two airports in Topeka service local and general aviation. Each airport has a least one Fixed Base Operator to service commercial, general aviation and military aircraft. The largest airport, Forbes Field, located within a Foreign Trade Zone, has a runway over 12,000 feet long and 200 feet wide and is a designated back-up for the Space Shuttle Program. Air cargo and package express are provided by widely recognized national firms.